This timeline depicts the average store size of Limited Brands worldwide from 2010 to 2017, by brand. 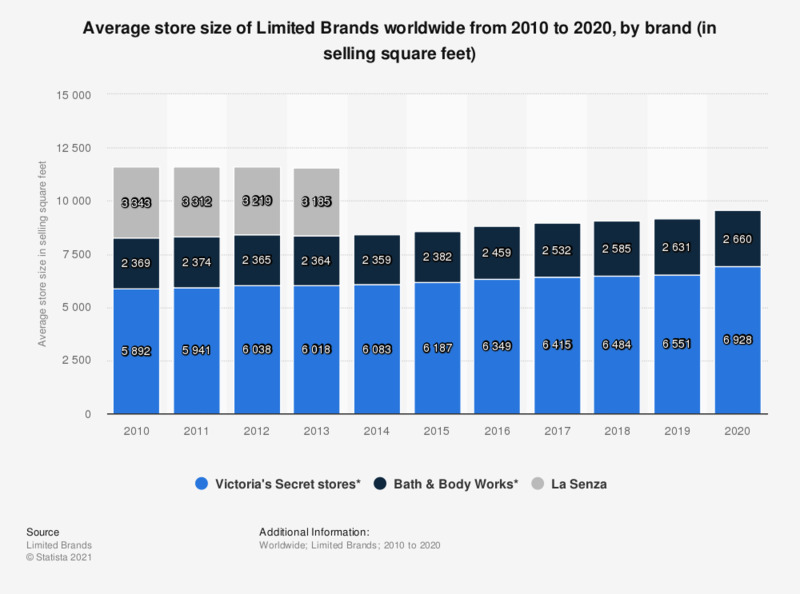 In 2012, the average size of a Victoria's Secret store was about 6,038 selling square feet. * Metric relates to company-owned stores in the U.S.
Everything On "Limited Brands" in One Document: Edited and Divided into Handy Chapters. Including Detailed References. How much do you like buying clothes and/or rambling/window-shopping without buying anything?